As YG famously said, it goes down in the DMs. 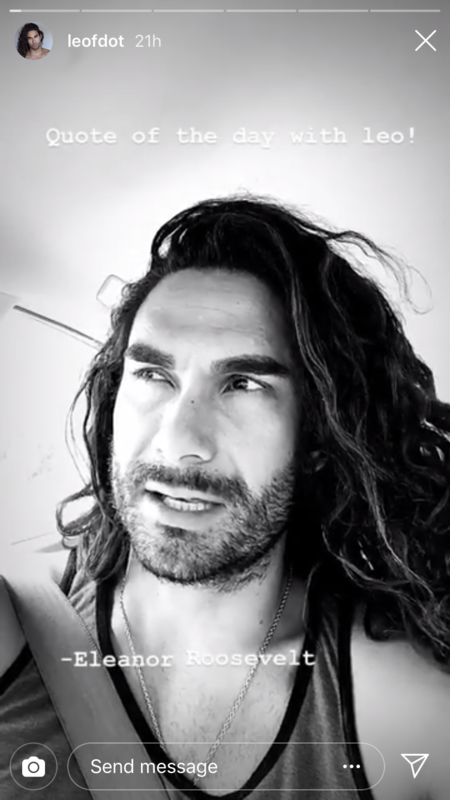 Specifically, it’s going down in the DMs of Bachelor Nation, where Bekah Martinez and Leo Ottavio are currently feuding. 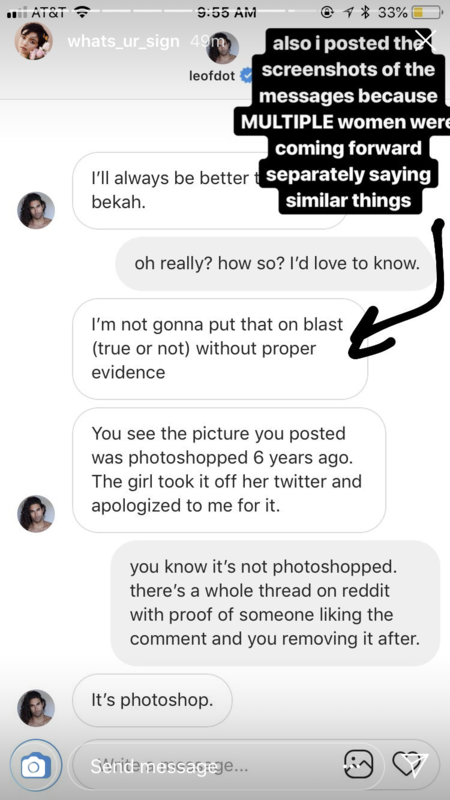 It all started on Wednesday, when Bekah M posted what purported to be screenshots of a comment Leo allegedly made on an Instagram years ago. The comment in question amounts to sexual harassment. And then, as they say, sh*t hit the fan. Some time after posting the initial Instagram story, Bekah posted a series of follow-up videos, claiming Leo’s lawyer had sent her a letter threatening to sue for defamation if she did not take down the posts and issue a personal apology. She refused to back down, and that’s when it got even crazier. Grab the popcorn, because I took screenshots and kept the receipts. 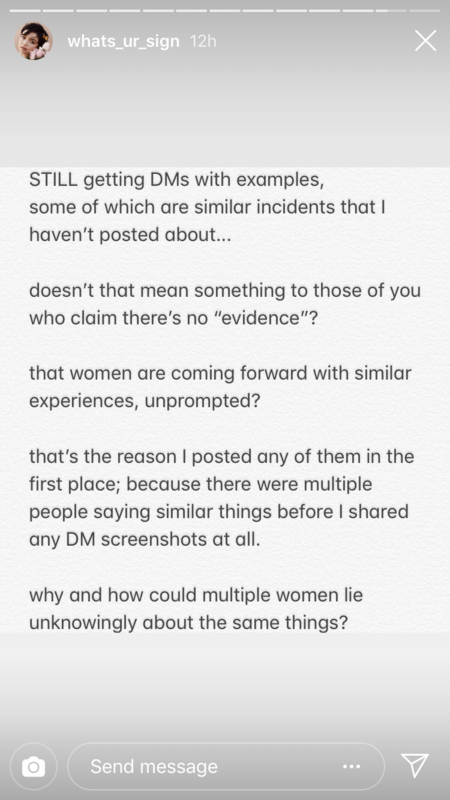 Is this a friendly heads-up that people are accusing Bekah of terrible things, or is it an implicit “I won’t post this if you take down your story”? Or is it simply a lesson on how to properly conduct Instagram investigations? We’ll never know for sure. Leo and his lawyer claim the original Instagram comment was Photoshopped, and Leo denies any allegations of sexual harassment. Bekah, on the other hand, claims she has received other reports from people who claim to know Leo, who are also accusing him of harassment. We don’t know what the truth is, but I’d like to say that “I don’t sexually harass women lol” is not exactly reassuring; any person who’s been sexually harassed would tell you there’s nothing funny about it. And given that Leo appears to admit he or his lawyer sent a letter to the woman who posted the initial claims, and Bekah herself revealed she was ordered by Leo’s lawyer to take down her post and issue an apology, the fact that the original accuser took down her tweet and apologized does not necessarily mean the photo was fake. But we also don’t know that it was not fabricated. 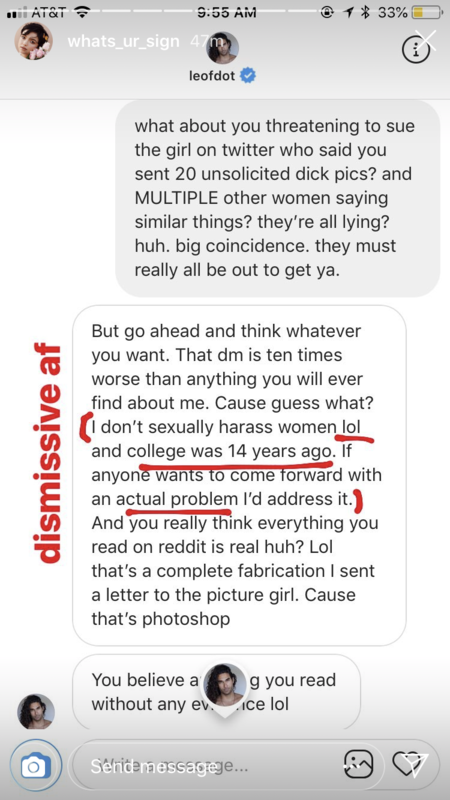 On Friday morning, Bekah continued to post Insta stories claiming she is “still getting examples” of Leo behaving inappropriately. At the end of the day, Leo insists he is innocent of any harassment allegations, Bekah claims she is telling the truth. ABC has declined to comment. Something tells me this is far from over.